Are you new to Stuff I Ate? Thanks so much for visiting! Join the fun on my Facebook page with a lovely like-- and please feel free to chime in and share your favorites with us! 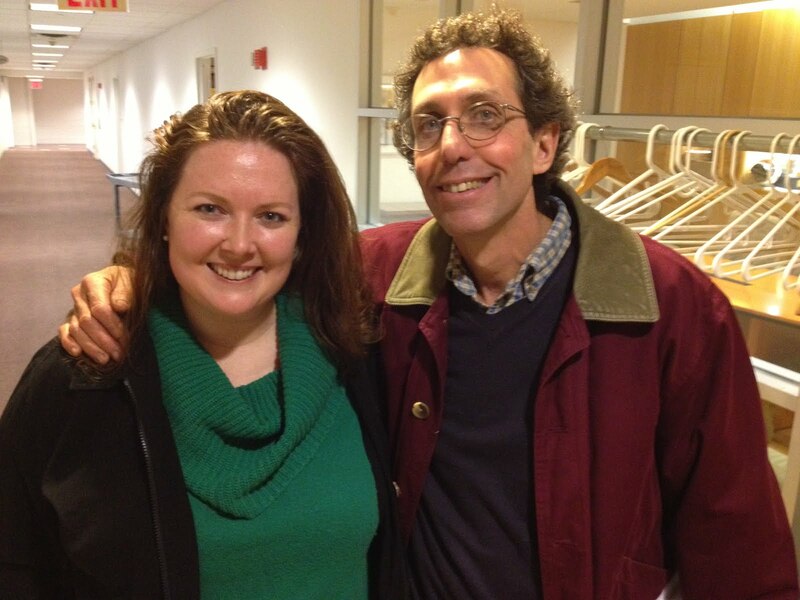 ABF & I love Long Island's wine country (we visit a lot-- and I'll have a link to those other visits at the end of this post)-- but we were happy to hear that several winemakers would be coming to US in the city! 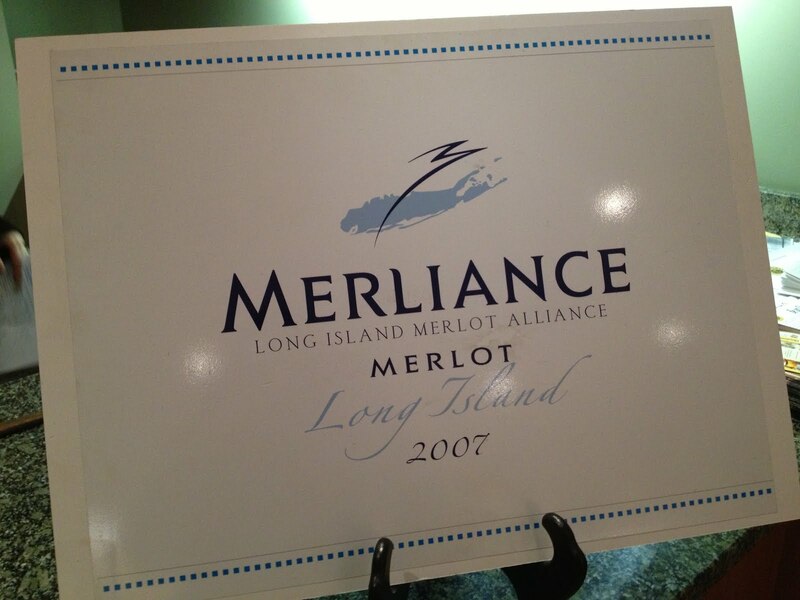 Winemakers from Clovis Point, McCall Vineyard, Raphael, Sherwood House Vineyards, T'Jara Vineyards, and Wölffer Estate Vineyard are all members of Merliance, which is Long Island's Merlot Alliance, dedicated to focusing production on Long Island merlots, which they believe will raise the bar for wines from all varieties. 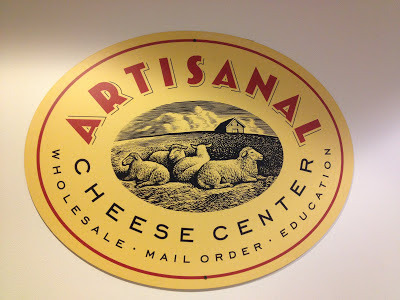 The event was hosted at Artisanal Cheese's 10th Avenue location. Wine + cheese = RSVP from LKP (and ABF and That Sara & Mike and my friend MK!) Our small group was there at 3 on the dot, where they had a pre-class cheese & wine reception. These people have my number, big-time. They had a fondue pot bubbling, wine pouring, and more cheese, fruit and crackers on the table. It's my kind of party!!! I do love a good gooey, stinky, cheese, and Epoisses is one of my favorites (and, legend has it, a favorite of Napoleon's. Dude knew good cheese.) I literally can't bring this cheese home unless it's for a party, because I cannot be trusted to pace myself. 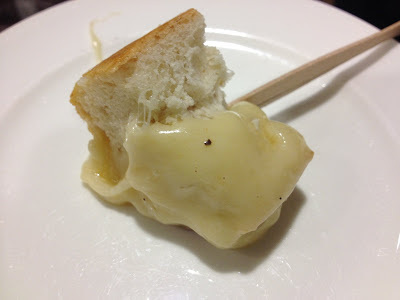 Its messy ooziness & strong odor might scare you off at first, but it is actually a warm, smooth, buttery delight to taste, and I don't even mind the sort of mushroomy flavor I notice with it. 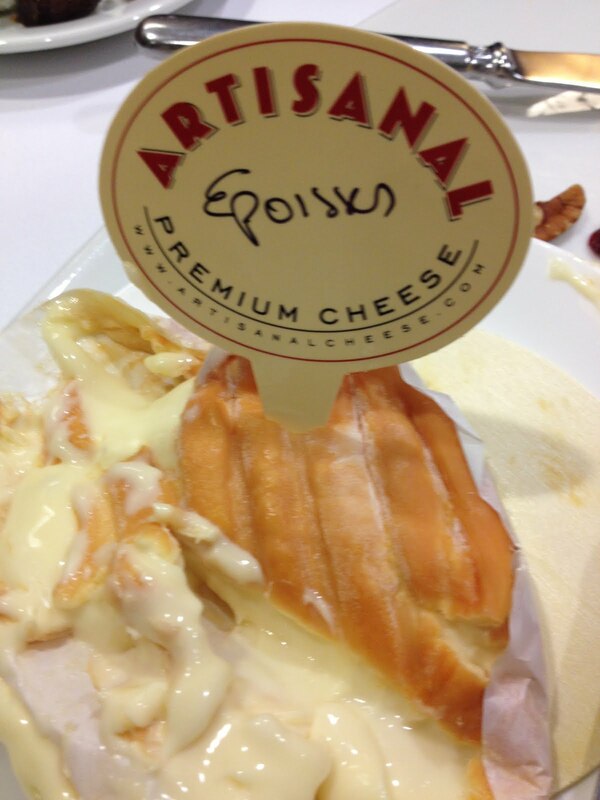 Oh, je t'adore, Epoisses! 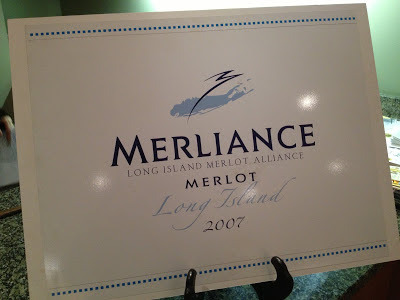 They also had the 2010 Merliance (seen in first photo), a blend (and I'm quoting the Merliance site here) "consisting of two barrels of merlot, chosen to be representative of the vineyard and vintage, from each Merliance member: Clovis Point (Jamesport), McCall Wines (Cutchogue), Raphael (Peconic), Sherwood House Vineyards (Mattituck), T’Jara Vineyards (Mattituck) and Wölffer Estate Vineyard (Sagaponack)." This won't be released until Spring 2013-- how cool to get an early taste! It's delicious, and I'm a Merlot convert! ABF was the one who convinced me to give Merlots another chance, especially Long Island ones. He's a smart guy, that ABF. The classroom was right next door, and it's a huge, well-lit space with a sweet kitchen setup at the front (behind the panel). But no one was really looking at the kitchen-- we were looking at the seven (7!!) glasses of wine at our place settings, forming a ruby half-circle over a tempting plate of cheese. We had a glass from each winemaker AND the 7th glass was the Merliance blend. Not a bad way to spend a Saturday! 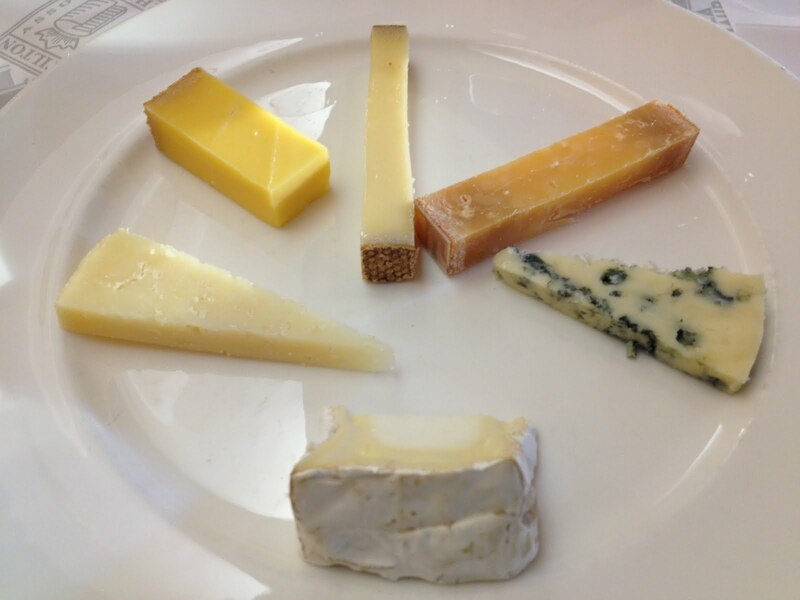 The moderator and cheese expert was Max McCalman, Arisanal's Dean of Curriculum and former Maitre Fromager at NYC's Picholine restaurant. He is the man who brought the "Cheese Clock" to Artisanal. He suggests looking at your cheese setting as a clock. Start with the mildest cheeses at the 6 o'clock setting, then work your way, deliciously, clockwise, ending with the strongest (in our case, a marvelously moldy Shaker Blue). Our first cheese was the Chaource, and my WORD it went with every single wine so smashingly. 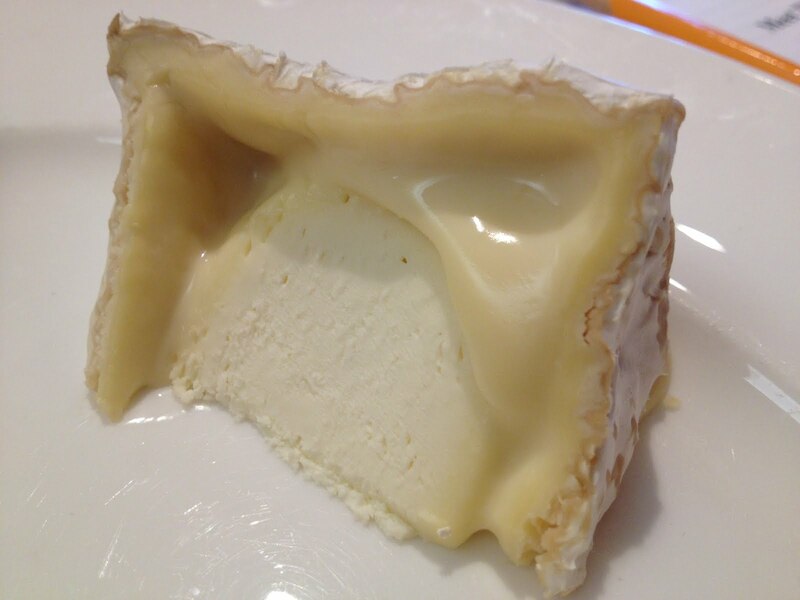 It's a cow's milk cheese from France, where it's been made since the 14th century. It is GOOD. Get some. 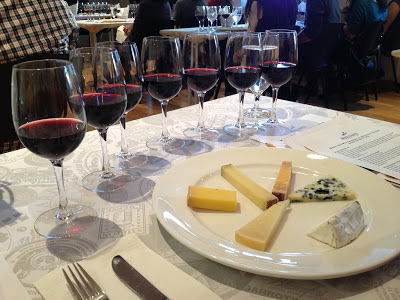 We tried a bunch of other cheeses with every single wine, and those sips definitely started to catch up with me. I didn't bother taking shots of every single cheese and every single glass. 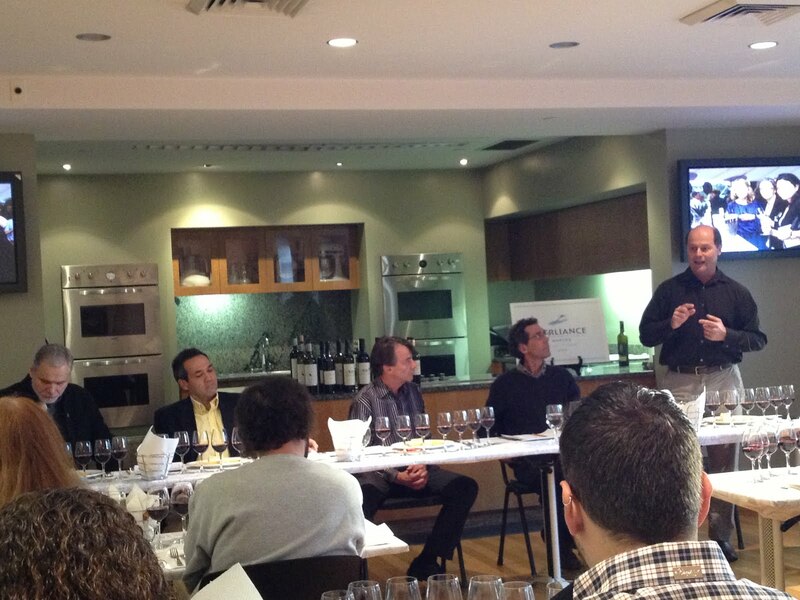 I just sat back and let the panel do their work while I enjoyed the liquid fruits of their labor. The wines were so delicious that they even won over Sara & Mike, who normally avoid Merlot in general. 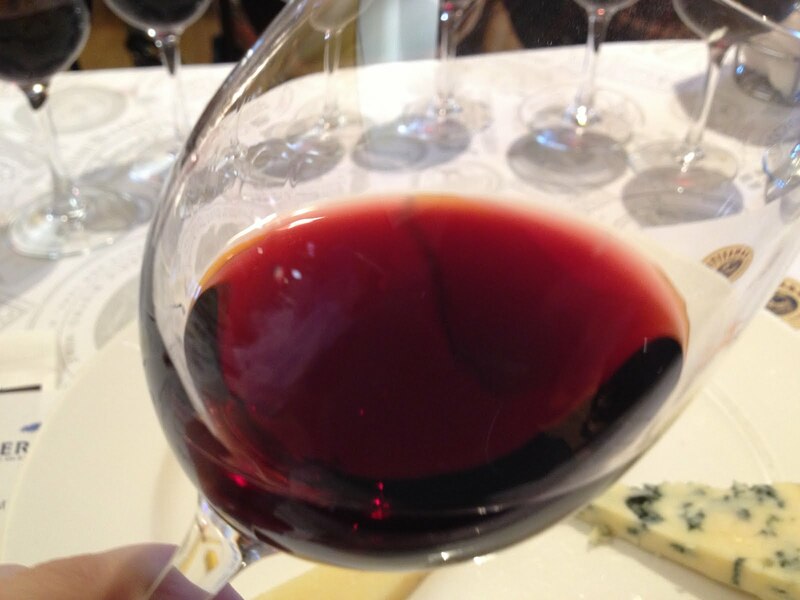 In fact, we were teasing Sara (of NYCNomNom) for finishing ALL of her wines before the class had ended! I then finished all of mine so she wouldn't be alone (because I'm a good friend-- and those wines were delicious). Everyone on the panel was interesting, approachable, and truly passionate about their work, stopping to chat afterwards with anyone who had a question. 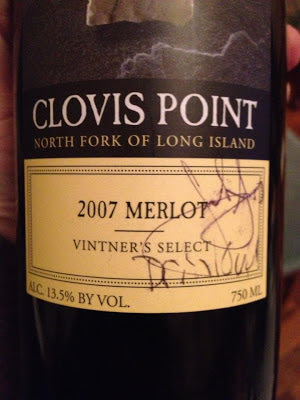 I was especially looking forward to hearing from John Leo, the winemaker at Clovis Point, a favorite of ABF's & mine. I went up to him after the talk to tell him what a great staff he has, how we love their wine (we are wine club members there) and their location, how often we bring friends out to try it as well, and he generously offered me a bottle of the 2007 Vintners Select Merlot, which my friend Mike then encouraged him to sign. John is a good sport-- he not only signed my bottle, but he posed for a photo with me after. The wines were all delicious, but the Clovis Point and the T'Jara Merlots were my favorites, as was the Merliance! All were super drinkable wines I'd happily bring to any party-- or open at home any day of the week! 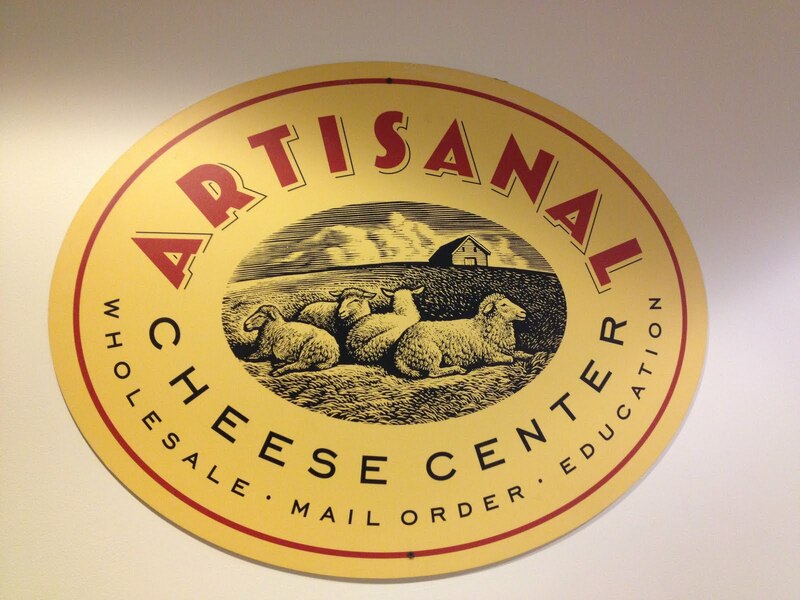 For more on Artisanal, go here! For more on the Merliance, visit their site here! And go HERE for more of my visits to Long Island vineyards/wineries! Dinner Party: Foods from Chile!